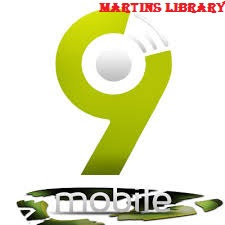 9mobile Recruitment 2018 ,In this article, you will get idle information on how to apply, application form, requirements, qualifications, and guidelines for 9moblie Recruitment 2018. 9mobile Recruitment 2018 and Application guidelines more details below; At first 9mobile, is a Nigerian private limited liability company. EMTS acquired a Unified Access Service License from the Nigerian Communications Commission in 2007. The License enables EMTS provide Fixed Telephony (wired or wireless), Digital Mobile Services, International Gateway Services and National/Regional Long Distance Services in addition to spectrum assignments in the 900 and 1800 MHz bands. Tactical: Assist in articulating EMTS’s regulatory compliance policy and in driving organisation-wide adherence. Firstly, develop and update EMTS’ compliance matrix to ensure that compliance roles, responsibilities and timelines are adequately communicated to the business. Develop processes to support the compliance with regulatoryobligations as may be required from time to time. Escalate all potential and known regulatory violations to theHead, Regulatory Affairs. Liaise with relevant units/functions in ensuring adherence toEMTS’s compliance framework. Provide support in filing reports and obtaining regulatoryapprovals for EMTS’ tariffs, promotions and other approval requests that may berequired. In addition, assist in implementing the unit’s work programs and plans in line with agreed upon procedures and guidelines. Assist in planning and managing the human and material resourcesof the unit to optimise performance, morale and enhance productivity. Provide leadership and guidance to team members and managesubordinates’ performance towards the achievement of overall team objectives. Ensure an excellent relationship is built with mid and seniorlevel managers across all relevant regulatory agencies. Then, ensure adequate training and development is delivered to team members on regulatory compliance issues. Prepare/compile agreed periodic activity and performance reportsfor the attention of the Director, Regulatory & Corporate Affairs. Lastly, perform any other duties as assigned by the Director, Regulatory & Corporate Affairs. Postgraduate/professional qualification in a related field will bean added advantage. Six (6) to eight (8) years post NYSC work experience, with atleast three (3) years in a supervisory role. Assist in drafting and interpreting contractual agreements and ensure that all contracts entered into by EMTS are consistent with corporate and governmental laws, rules and regulations. First of all, assist the Manager, Legal Services (Contracts Advisory) in providing legal advice to assigned departments and divisions on legal issues arising from contracts. Secondly, draft contracts and legal agreements including memoranda of understanding (MoUs) or agreement (MoAs), letters of intent and other related documents. Thirdly, research and proffer opinion on any legal inquiries or issues of a contractual nature arising out of the interpretation and application of contracts and agreements. Fourthly, assist in ensuring that terms and conditions set out in contractual documentation are legally valid, consistent with EMTS’spolicies, rules and regulations, and are in the organisation’s best interest. Then, participate in drafting and finalizing tender documentation. Assist in litigation by or against contractors or other counter parties arising out of contracts, agreements, or similar documentation. Review documentation and ensure that contracts,agreements and tenders comply with agreed and approved conditions and make recommendations to the Manager, Legal Services. In addition, monitor and respond to feedback from the respective EMTS departments as required. Maintain a database of all contractual documents and related legal documentation. Liaise with relevant units/teams/functions in carrying out all relevant activities. In the same light, attend team/divisional/departmental meetings as required. Prepare/compile agreed periodic activity and performance reports for the attention of the Manager, Legal Services. And lastly, perform any other duties as assigned by the Manager,Legal Services.